Banna beach has a vulnerable sand dunes which is protected and is a designated Special area of Conservation. 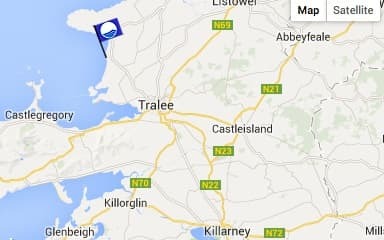 The beach is located 7 km north of Tralee Town. This beach is of major ecological interest due both to its range of habitats and wildfowl. To access this beach follow the R551 from Tralee. The beach is lifguarded during the bathing season (lifeguard patrol times are displayed on the information noticeboard at the beach).